Georgia held its last direct presidential elections on 28 October 2018. 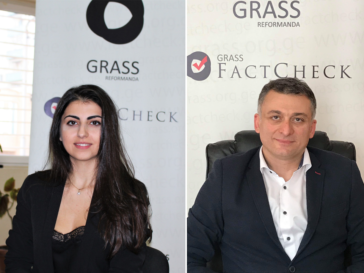 As no candidate reached 50% of the vote, there will be a runoff between the top two: they are Salome Zurabishvili, who is backed by the ruling party Georgian Dream (GD), and Grigol Vashadze, of the United National Movement-led (UNM) coalition “Power is in Unity”. Despite the criticism from NGOs and opposition parties, the second round, which will ultimately determine who will serve as the president of the country for the next six years, was decided to be held in the middle of the week on Wednesday, 28 November 2018. Traditionally elections in Georgia are held on weekends. An election on a weekday disadvantages citizens living remote from their place of registration as well as Georgians residing abroad, a group which proportionately supported Vashadze in the first round of the election. According to newly introduced amendments to the constitution, which will enter into force after the presidential elections, the new president will have less power than his/her predecessors. The institution itself maintains a symbolic importance though, as it is one of the country’s main power centers and can influence the domestic discourse through its role as political arbiter. In addition to representing Georgia in foreign affairs and being Supreme Commander-in-Chief, the president also enjoys the right to appoint three judges to the Constitutional Court and a member to the High Council of Justice. The next president of Georgia will possess a people’s mandate and the political legitimacy that derives from being the last directly elected to the position before a new system of indirect voting takes effect. Thus, the directly elected president – even with limited powers – can exert significant influence on political processes in the country. In addition, political parties have viewed these elections as a test for the upcoming 2020 parliamentary race, an interpretation that has further raised the political temperature for the competing political camps. If Zurabishvili loses the race, the ruling party, which holds the constitutional majority in the parliament, will suffer its first defeat in the elections since it came to power in 2012. On the other hand, Vashadze’s victory would mark the UNM’s first victory since it was defeated in 2012, which could increase winning chances for the opposition parties in the 2020 elections. Therefore, these elections have once again polarized the political landscape and highlighted the deep-rooted challenges present in the country’s political system. According to international and local observing organizations, the first round of the presidential elections was generally held in a professional, orderly and transparent manner. However, the pre-election period was marked by negative features: instances of misuse of administrative resources, cases of possible coercion on voters and vote buying, substantial imbalance in donations given to the ruling party-backed candidate and the opposition, and instances of damaging campaign materials. The media environment was also polarized with hate speech and discriminatory remarks voiced by or against political parties and figures. However, these pre-election events in Georgia are largely overshadowed by serious concerns regarding the country’s overall democratic governance system. The election campaign went way beyond the battle for presidency and the public debate was mainly dominated by leaked audiotapes, uncovering allegations of grand corruption, informal clan rule, politicized judiciary, and shady dealings by high-ranking officials. Following these revelations, the ruling party opted to blame NGOs, media agencies and political opponents, portraying the allegations as a product of their fertile imagination. Bidzina Ivanishvili, the leader of the Georgian Dream (GD) party and the de-facto source of governance, went as far as to say that if the Georgian citizenry turned off the nation-wide TV channel Rustavi 2 (a very critical broadcaster) they wouldn’t see anything but progress and development, as he believes Rustavi 2 was distorting the reality. Notwithstanding the speculation over the authenticity of the released recordings, the government’s response to the allegations has – if not proved them – at least raised doubts about the informal leadership by the chair of the ruling party and increased the risk of state capture in Georgia. Georgia still continues to be seen as a frontrunner Eastern Partnership (EaP) country, with its sustained reform track. However, the main issue is whether being a frontrunner in a group of countries that are not “running very fast” at the moment is enough for the Georgian public, its European ambitions or its western partners. The recent political turmoil in Georgia has revealed the gravity of the challenges the country faces, i.e. a lack of judicial independence and of democratic accountability to citizens with an excessive decision-making power concentrated in the ruling party’s leader not holding a publicly elected office. This time, the Georgian public has clearly stated its resistance to the country’s democratic backsliding by voting against the ruling party-backed candidate: out of 1 637 956 total votes, only 615 624 (38.64%) votes were given to Zurabishvili. The first round of the elections has also proved that electoral change of power is not unthinkable even in a context where a billionaire and so far unchecked leader dominates all branches of government, and possesses a fortune worth 32% of the country’s GDP and almost 100% of its annual budget. Even the government’s decision in the runoff campaign to write-off debts for around 600 000 citizens with the help of Ivanishvili’s associated “Cartu Group” – a move heavily criticised as vote-buying – may not benefit the ruling party in the end. Even though the winner is not yet decided, the elections have revealed the widespread public discontent towards the current ruling party. This should be a clear sign for the GD that, unless the state institutions start acting based on their constitutional obligations and public interest, its current constitutional majority will eventually crumble. This runoff election will determine the head of the country, but it will hardly bring an end to the recently uncovered crisis in Georgia’s governance system.